The last time I played a Sim City game, it was on a giant IBM desktop that had dial up. Now it’s returned, but to the small screen. This new game is much different, much more accessible, and honestly a lot more fun. I remember meandering around, trying to figure out exactly how to play when I was a kid. 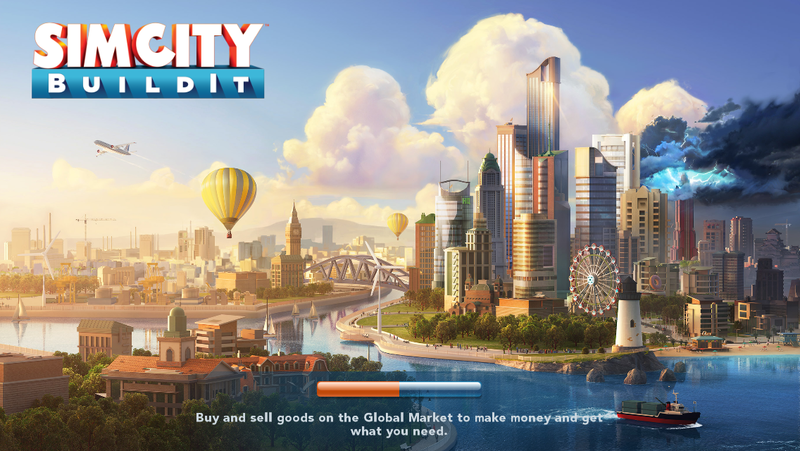 With this app, I got easily down to business right away, and build a thriving town. I have too much fun playing this game. I get sucked in a little too often. But hey, I’m unemployed. Let me enjoy this free time while I still have some. How to play this game is well defined virtually every minute of it. Sims will greet you and explain each aspect of the game as you come to interact with each of them. Of course, the games main focus is on building things. Buildings, businesses, roads, all sorts of things. You’ve got to earn the cash and produce the supplies it takes to build this stuff, which is where the work comes in. You’re given a town. You build a few houses, a few other things, but what really is going to birth your city are the factories. You start with one small factory, but the demand quickly grows. Here, you can build metal, wood, plastic, even seeds. At the building supplies store, you can use those materials to manufacture nails and lumber. 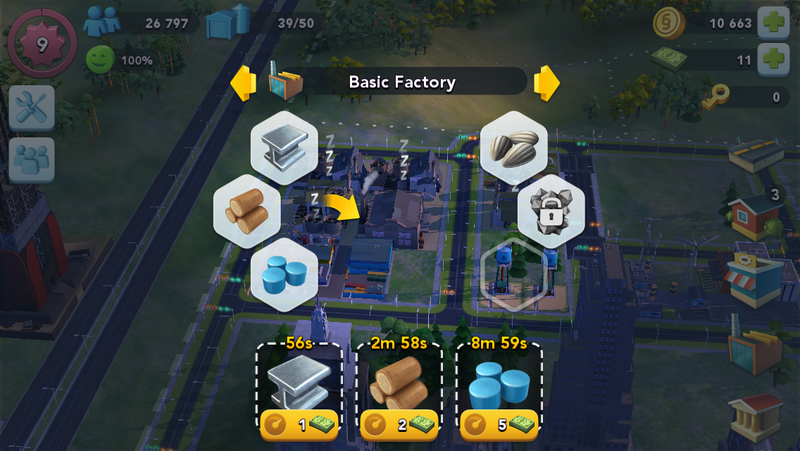 Once your town gets going, it’s your job to make sure these factories and stores are making things all hours of the day, because you’ll need them to. Residential buildings will be in a constant state of wanting to be upgraded. It’s not completely necessary, but it contributes to the growth of your city and the happiness of your sims, both of which are important. 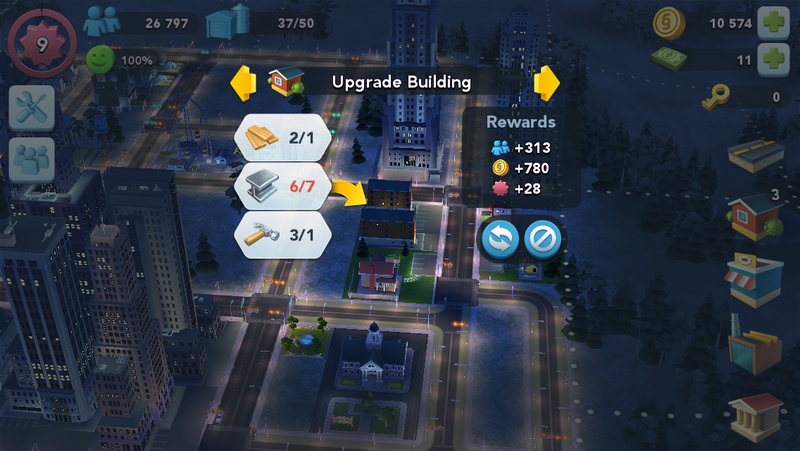 Each building will tell you what materials it needs to upgrade. 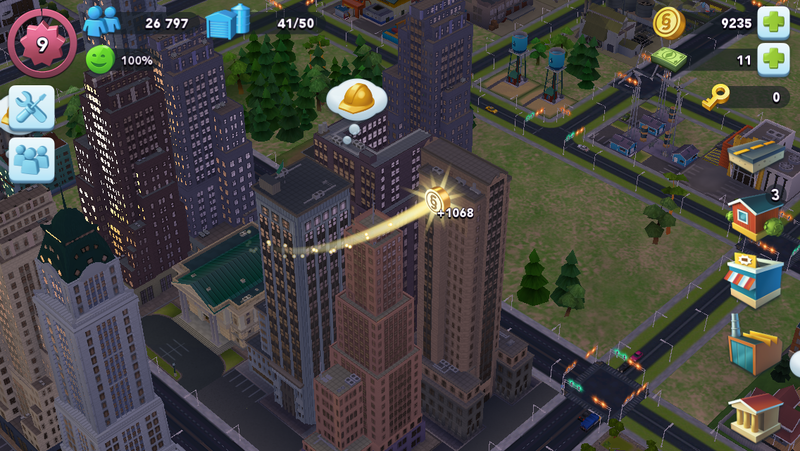 Regularly upgrade buildings, grow your city, and your sims will be happy. Keeping the residents of your city happy is a huge part of the game. They won’t be shy about how they feel either, so it’s not too tough. They tell you exactly what you need to be doing, and constantly give feedback about everything. The only struggle comes in when you don’t have enough money to move forward with something they need. However, there are lots of ways to grow your city’s funds. Each day, you gather taxes from town hall. Happier Sims pay more taxes, the more happy they are, the more money you can collect. You can also sell the goods you manufacture. 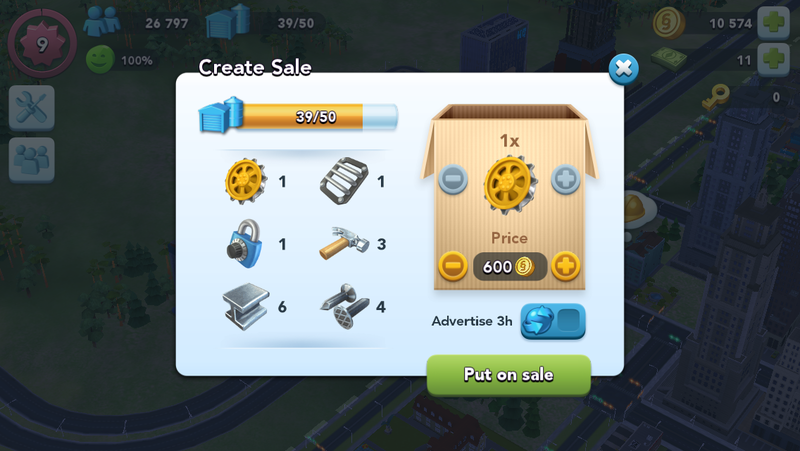 Sims around down will make deals with you, and you can also sell goods by creating sales for other players of the game to buy things they need. I find this is a great way to make money. When you’ve got money you can build parks, stores, fire departments, all sorts of buildings. Some of them are necessary for safety, others just make Sims happy. Having Sims be happy is essentially the whole part of the game. Build stuff, make them happy. This app is free, lots of fun, a bit challenging, and totally addicting. For anyone out there who has ever been a fan of any Sims game, I recommend it. For anyone who enjoys playing fun, interactive apps, I recommend it. For anyone, I recommend it. So get to downloading, Fangirls! All image and characters depicted are copyright of their respective owners.